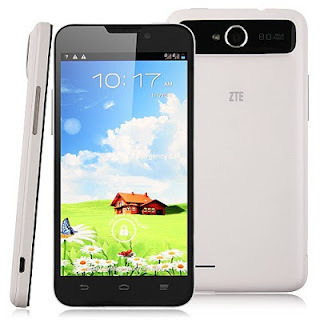 ZTE as one of the leading broadband and modem manufacturer has entered the mobile competition in the Philippines, releasing their powerful smartphone the ZTE Grand X Quad V987 which is of course a Quadcore. Not only ZTE Grand X Quad is fast, smooth, no lags, no irritation it has also an amazing graphic performance which primarily powered by PowerVR SGX544MP GPU, full HD recording 1080p can be captured without any software needed, not to mention the 8MP camera with LED flash and 1.3MP front facing camera. In terms of gaming and watching videos, you can enjoy its wide 5.0inch display with multi-touch and OGS technology, while 3D games will run smoothly thanks to 1GB RAM and of course its processor. ZTE Grand X Quad V987 still has some downside specs, specifically its internal memory which is only 4GB, as some brand offers 16GB internal memory, and buying another separate memory (microSD) is a pain and additional cost, while the battery is acceptable but not much, all this specs for Php11,990 SRP. ZTE Grand X Quad V987 is priced at Php11,990 SRP and available now on selected store nationwide, preferable at malls, and leading mobile stores, and probably this will be featured soon on postpaid plans of different Philippine telecoms.